BeatSarcoma celebrated its first annual volunteer dinner in its San Francisco location. 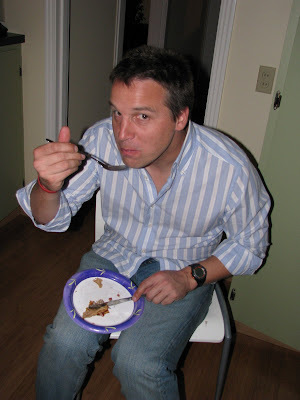 People who contributed to the BeatSarcoma Fun Run and Sarcoma Cup 2008 met to enjoy some - oh so French - crepes!! If you are interested in volunteering for BeatSarcoma, or if you have ideas of activities and program, don't hesitate to email us! You can check the currently available opportunities on our 'volunteer opportunity listing'. 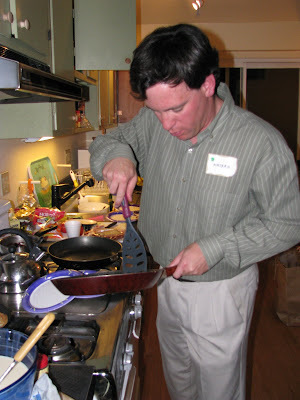 Nathan, BeatSarcoma's CFO, dutifully preparing a cheese/ham/tomatoes crepe. Mark, BeatSarcoma's sponsorship team lead for Sarcoma Cup 2009 enjoying the above creation!